Breast Cancer Awareness Month is an annual international health campaign organized by major breast cancer charities every October to increase awareness of the disease and to raise funds for research into its cause, prevention, diagnosis, treatment and cure. The campaign also offers information and support to those affected by breast cancer. As well as providing a platform for breast cancer charities to raise awareness of their work and of the disease, Breast Cancer Awareness Month is also a prime opportunity to remind women to be breast aware for earlier detection. 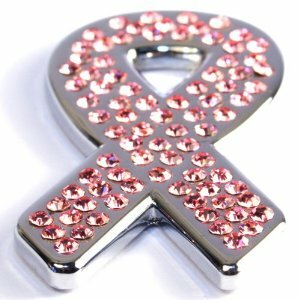 The pink ribbon is an international symbol of breast cancer awareness. Pink ribbons, and the color pink int cancer brand and express moral support for women with breast cancer. Pink ribbons are most commonly seen during National Breast Cancer Awareness Month. About 1 in 8 women in the United States will develop invasive breast cancer over the course of her lifetime. In 2010, an estimated 207,090 new cases of invasive breast cancer were expected to be diagnosed in women in the U.S.
Do you participate in any Breast Cancer Awareness Month activities?